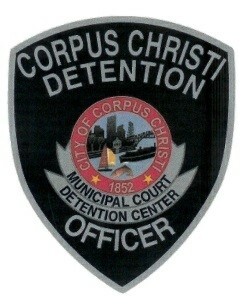 The City of Corpus Christi Magistration and Detention Center is located at 615 Leopard St. Suite 113A on the first floor of the Wilson Plaza at Leopard Street and N. Upper Broadway Street. All adult individuals arrested by the Corpus Christi Police Department, Corpus Christi City Marshal’s Office, and Corpus Christi Airport Public Safety are brought to the Magistration and Detention Center for processing. People who are brought to the Magistration and Detention Center will be magistrated by a Municipal Court Judge. For inquires of individuals in custody, please call (361) 826-4176 or (361) 826-4013. What can I do if someone I know has been arrested? If an individual was arrested for a class A or B misdemeanor or a felony charge, they will be processed and transported to the Nueces County Jail. You may contact the Nueces County Jail for all information requests concerning individual charges, posting bond, and other inquiries at (361) 887-2300 or (361) 887-2307. Individuals who are only charged with class C misdemeanors will be processed, magistrated, and released from the Magistration and Detention Center. There is no visitation of arrested persons at the Corpus Christi Magistration and Detention Center.